Dedicated to Truck Mounted Forklifts �- We provide a flexible and personal back-up service for all truck mounted forklifts including Moffett Mounty, Kooi Aap, Manitou, and Palfinger. � We base our success on providing a range of services that can be tailored to suit your needs from simple advice and ad hoc servicing to full contract maintenance. 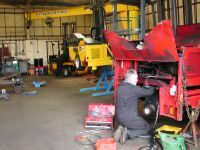 Moffett Mounty Maintenance - The first step to keeping your truck mounted forklift in perfect working order is regular maintenance. � Our factory trained experienced engineers can give you peace of mind. 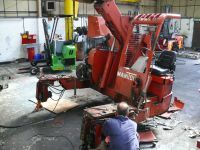 When servicing your Moffett Mounty truck mounted forklift our engineers can spot problems developing reducing the chance of a costly breakdown. National Breakdown cover - If your truck mounted forklift breaks down it's Murphy's law that it's at the wrong time and wrong place, miles away from you and in an area you don't know. 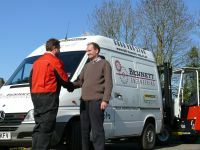 We offer national breakdown cover for Moffett Mountys controlled from one telephone number. 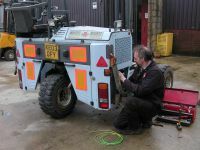 Simply give us a call and we will get your Moffett Mounty back on the road utlilising our network of service centres.